Your child’s doctor may recommend performing a tonsillectomy and adenoidectomy (T&A) at the same. Many children suffer from symptoms and problems associated with tonsils and adenoids simultaneously and benefit greatly from a T&A. Both tonsils and adenoids are part of the immune system and are thought to be the body’s first line of defense against bacteria and viruses that enter the body. However, in many children, these glands can become chronically infected or enlarged causing more harm than good. When infections and breathing problems persist, surgery to remove the tonsils and adenoids is typically recommended. The surgical procedure to remove the tonsils is known as a tonsillectomy, and the removal of the adenoids is called an adenoidectomy. Because tonsils and adenoids and their associated complications go hand in hand, these two surgeries are often done simultaneously. The combined procedure is called a tonsillectomy and adenoidectomy (T&A) and is one of the most common surgeries performed in the U.S. 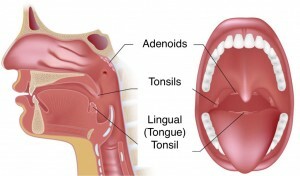 The tonsils are a pair of soft tissue masses located at the back of the throat on each side of the root of the tongue. The tissue of the tonsils is similar to lymph node tissue and is covered by a mucosa lining. As part of the lymphatic system, the tonsils help fight infection. Tonsillitis refers to inflammation of the tonsils. Tonsillitis most commonly affects children, but adults can suffer from the infection as well. There are several types of tonsillitis. 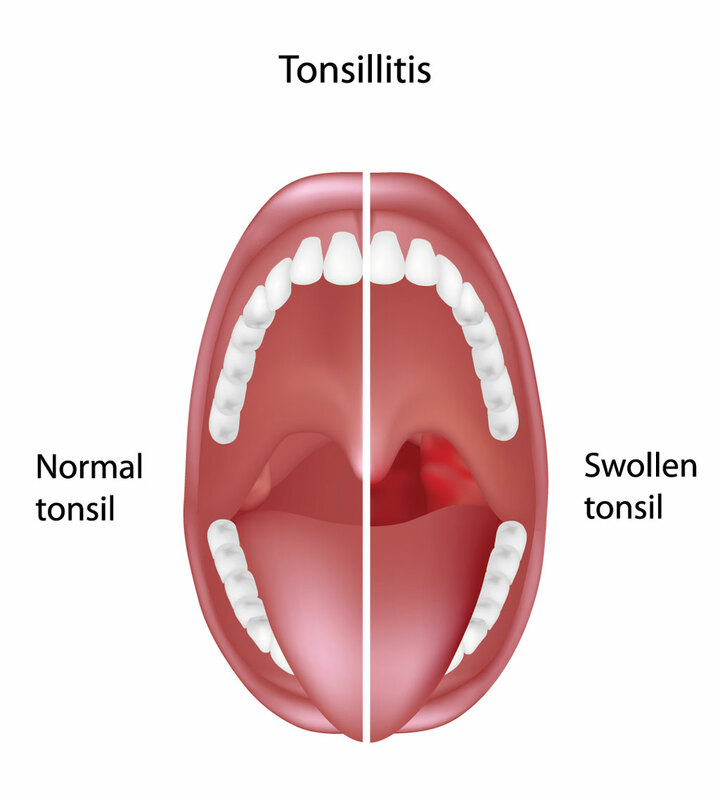 Acute Tonsillitis: Acute tonsillitis occurs when a virus or bacteria infects the tonsils and causes swelling. Sometimes a grayish while coating (exudate) covers the tonsils. Patients typically feel a sore throat with acute tonsillitis. Chronic Tonsillitis: Chronic tonsillitis can be repeated episodes of acute tonsillitis or a persistent infection that does not clear up with antibiotic treatment. Peritonsillar abscess: A peritonsillar abscess occurs when an infection creates a pocket of pus next to the tonsil. These abscesses need to be drained immediately. Treatment for tonsillitis depends on the underlying cause of infection and the age of the patient. Because the tonsils are visible, a physician can typically make a diagnosis by looking at the tonsils to see if they are swollen or have a coating. If a bacterial infection is suspected, a rapid strep test or a throat swab culture will likely be performed. If the test is positive, an antibiotic (usually a ten day course of the medication) will be prescribed. If the test is negative, a viral infection is typically assumed to be the cause. When infections don’t clear up or continue to occur and the patient is experiencing unpleasant symptoms, surgery is usually the next option. Tonsillectomies are often performed to treat the following conditions. Chronic tonsillitis: When infections do not respond to treatment, or when episodes are frequent, tonsillitis is considered to be chronic. Frequent episodes of tonsillitis are defined as infections occurring more than 7 times in one year, more than 5 times in 2 consecutive years or more than 3 times in 3 consecutive years. Enlarged tonsils: Tonsils can be naturally large and obstructive, or they can become enlarged due to chronic tonsillitis. Enlarged tonsils can cause difficulty breathing, swallowing, and sleeping. Rare conditions: Sometimes tonsils are affected by rare diseases and conditions, such as cancerous tissue on the tonsils or recurrent bleeding from blood vessels near the surface of the tonsils. A tonsillectomy is typically an outpatient procedure. If there are complications, or if the child is very young, an overnight hospital stay is possible. The procedure is quick, typically lasting about 20 minutes, and is performed through an open mouth without any incisions through the skin. The surgeon may use a blade to remove the tonsils or a specialized surgical tool that uses either heat or sound waves to destroy or remove the tissue and stop the bleeding at the same time. A newer procedure known as intracapsular tonsillectomy is a variation of a traditional tonsillectomy. In this procedure, a small layer of tonsil tissue is left in place to protect the underlying muscles. Recovery is typically faster, and pain is significantly reduced, as well as the risk of postop bleeding. Unfortunately, almost all patients experience pain following a tonsillectomy. Pain in the throat and in the ears is common. Some patients also have pain in the jaw and neck. Medication: It is important to take pain medication as directed. Fluid: Drinking plenty of fluids is essential to recovery. Children are especially at risk for dehydration following tonsillectomies. Popsicles are an excellent choice providing fluid and soothing coolness. Eating: Foods like broth and applesauce are best immediately following surgery. Other soft foods that are easy to swallow can be added as tolerated. Spicy, acidic, or crunchy foods should be avoided. Activity: Rest is extremely important. A child should stay in bed for the first couple of days following surgery. Activities like running and jumping should be avoided for about two weeks. Once a child is eating a normal diet, is pain free, and is sleeping though the night, he or she can typically return to school. A tonsillectomy is generally a very safe procedure with limited risk. Anesthesia: Sometimes anesthesia can cause symptoms like nausea and vomiting following surgery. In very rare cases, general anesthesia can cause serious reactions during surgery. Bleeding: Any bright red blood requires urgent evaluation. Sometimes surgery is needed to stop the bleeding. Fever: This can be a sign of infection, and you should contact the doctor immediately. Breathing problems: Most children will snore or breathe noisily following surgery. However, swelling of the tongue or soft palate after surgery can cause serious breathing difficulty. Seek emergency care if your child is struggling to breathe. Adenoids are a collection of lymphoid tissue located far back in the throat near the nasal passages. They are positioned behind the soft palate and cannot be seen through the open mouth. Like tonsils, they are part of the lymphatic system and help the body fight infection by producing antibodies that bind to and trap bacteria and viruses before they can travel further down the throat. Typically adenoids are larger in children and shrink as the child grows older. Several complications can occur with adenoids that cause problems for many children. 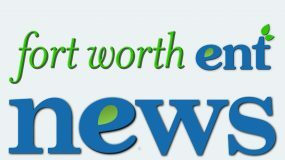 Enlarged adenoids: When adenoids trap bacteria and viruses, they temporarily swell. Sometimes, they can progressively grow with infection and remain enlarged. 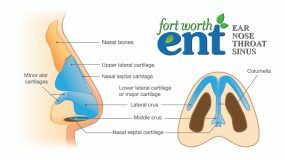 Enlarged adenoids can interfere with breathing and mucus flow. Obstructive sleep apnea: When adenoids are enlarged, they can block the flow of air through the throat. When this occurs breathing can stop for a few seconds (apnea), and this can happen multiple times throughout the night disrupting sleep. Ear infections: Children with enlarged adenoids often suffer from recurring ear infections. Enlarged adenoids can block the eustachian tubes and prevent fluid from draining properly leading to infection. If adenoids are suspected to be a problem, an ear, nose, and throat specialist (ENT) can view the adenoids using an endoscope (a thin tube with a camera inserted through the nose). Adenoiditis is typically treated with antibiotics first. If the child has repeated episodes of adenoiditis, chronically enlarged adenoids, chronic sinus infections, repeated ear infections, or sleep problems, surgery may be recommended. An adenoidectomy is a common, simple, outpatient procedure with very few side effects. The adenoids are removed through the mouth without any external incisions. Recovery for most children is about 48 hours and the result is often significant relief of symptoms and complications. Recovery following an adenoidectomy depends on the patient. Most children, however, are feeling significantly better after 48 hours. There is less pain associated with adenoidectomies than with tonsillectomies. Children should rest, drink plenty of fluid, and eat only soft foods at first. When a child has no pain and can eat solid foods, he or she is typically ready to return to school. Your child’s doctor may recommend performing a tonsillectomy and adenoidectomy at the same. Many children suffer from symptoms and problems associated with tonsils and adenoids simultaneously and benefit greatly from a T&A. Even though the adenoids and tonsils function as part of the lymphatic system fighting infection, studies have shown that the removal of these glands has little to no effect on the immune system. It is believed that tonsils and adenoids are most beneficial during the first year of life and that other lymph nodes make up for the absent tonsils and adenoids after removal. With a T&A, most children go home the same day as surgery. Patients younger than 3 and those that are at risk for dehydration or breathing difficulties may stay overnight for observation. 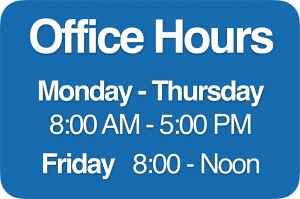 Surgery typically lasts about 30-45 minutes. After surgery, the child will wake up in the recovery room. It can take several hours to recover from general anesthesia. Your child will immediately be given fluids such as apple juice or popsicles. Complications with T&A surgery are similar to those with a tonsillectomy and an adenoidectomy. A sore throat is to be expected. Bleeding, difficulty breathing, or a fever over 102 requires immediate attention. Fluids are extremely important to avoid dehydration, and soft foods should gradually be introduced. Most patients are able to return to normal activity after 2 weeks and experience significant improvement.